Curious about Tamahere? 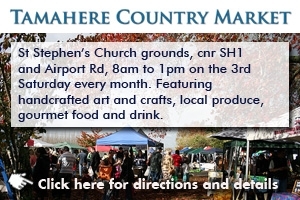 Looking for the monthly market, cafes, food, facilities, accommodation, places of interest, clubs, groups and businesses? Or just wondering about Tamahere in general? Fast guide to Tamahere will get you where you want to be. Fast. For a wealth of information on the community of Tamahere today, and some brief history, click here. Click here for information about the popular, monthly Tamahere Market. The Tamahere Community Committee is the district’s elected representatives. 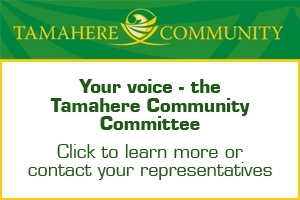 Click here for detail on the committee and its members, including Tamahere ward Waikato District Councillor Aksel Bech. The Directory A-Z is a great place to find online detail about Tamahere services, facilities and businesses. Click to be taken straight there. Or scroll below for a comprehensive map that gives you a virtual tour of Tamahere. Click here for information about the helpful and industrious Tamahere Community Plant Nursery and Gully Care Group. Airplane noise can be an issue in Tamahere. Click here for information about how airport noise is managed and who to contact for questions, feedback or complaints. The Tamahere Tennis Club is a social club which caters for players of all ages and abilities. Play is at the Tamahere School Courts, Devine Road on Friday mornings from 9am. For further information phone or text Joy Rikys 856 5506, 020 402 58325 or Di Washer 839 1589, 027 292 7437. Tamahere Indoor Bowling Club meets every Monday night from March to October at the Tamahere Community Centre. Arrival time at the hall is 7.20 pm for a 7.30 pm start to games. New members are welcome and coaching is provided for beginners. For more information, contact Rosemary on 856 0036, or Jan Simmons on 856-8995. Use the map below to locate places in Tamahere and take a virtual tour of the community. All care has been taken to ensure the map is accurate so let me know if and when anything needs attention. Comments and suggestions of places to be added to the map are welcome. Click here to email the site moderator. Thanks!